Well situated and larger than expected. Perfect location; just outside the centre. The apartment was just outside the old town and a 15 minute walk from the train station and 20 minutes from the regional bus station. Everything you require is in this apartment. It has a separate kitchen with enclosed terrace, bedroom with plenty of storage, bathroom and water closet, a living room with balcony and separate dining room. Light, bright and extremely comfortable. This would be ideal for an extended stay. Located on the third floor, no lift but it was fine. Only a 2 minute walk from an amazing patisserie, and a small market.Sandrine was very helpful and although my French is limited we were able to communicate well. you are, you and your husband very friendly. even when you want !! I hope you had a good trip !! This apartment was just perfect for a great stay in this wonderful city. The host has prepared everything for an deal visit. The photos represent it well. The only thing that prevented a five star review was the parking situation. Aix is one of the worst cities in all of Europe for drivers. It is a maze of one-way streets, pedestrian walkways and blind alleys. Drivers, do not enter Aix without a parking lot as a destination. The apartment address will do you no good until you are parked as there are no spots on the streets nearby due to the proximity to a university. The host should be sure to provide the address of a nearby parking garage. After two hours of extreme difficulty we found Parc Carnot, about a ten minute walk from the apartment. However, the charge was 20E per day. This may seem like a small problem but, for drivers, it is not. Really enjoyed staying in this spacious flat with my daughter. It was beautifully clean, well-equipped and conveniently located to the centre as well as to some local shops. Sandrine was extremely helpful. We had a very good time. Thank you! The apartment is lovely! Host was winderful and attentive! Very helpful. Apartment was spacious and kitchen well-equipped. Street noise was very noticeable at times. No air conditioning, so windows had to be open, though the temps fell nicely at night! Never could figure out how to turn TV, but had plenty of other things to do! Apartment perfectly located! Would recommend. 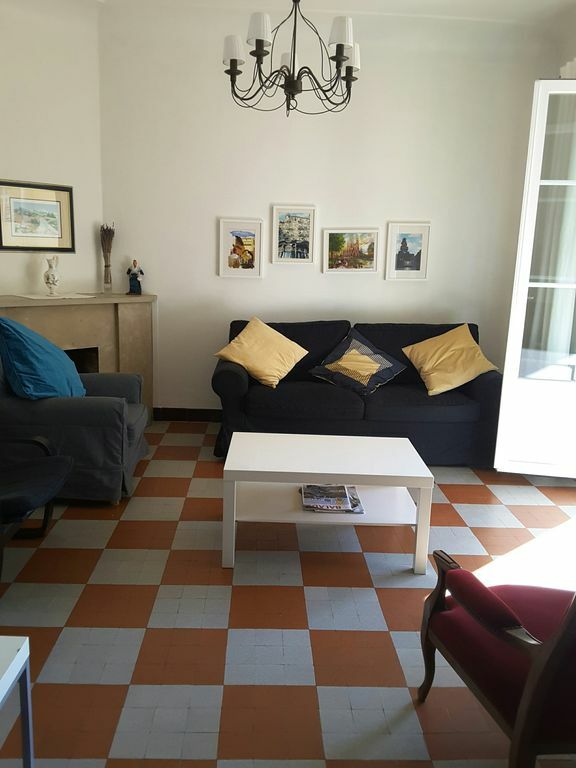 We thoroughly enjoyed our stay in this lovely Provencal apartment. Location was excellent; across from a beautiful park and close to all markets and shops. The apartment was clean, comfortable and quiet. The kitchen was well equipped. The owner was very responsive. We would love to stay here again if we return to Aix-en-Provence. thank you very much for your very kind comment and it is with great pleasure to welcome you again. (Text automatically translated) easy access. shuttle to nearby airport and train station. Street with free parking. Park practically in front of the apartment. Un supplément de 40 euros est demandé à votre arrivée pour les frais de remise en ordre du logement après votre départ.